Foszia Turner-Stylianou is the founder of TranceFormingSelf and is a certified and registered Clinical Hypnotherapist and Transpersonal Therapist of 5 years’ standing. She is based in Surbiton. Foszia is a firm believer in keeping herself up to date with current developments and trainings in the mind-body field and she is therefore able to offer her clients a wide-range of therapeutic tools to promote their effective recovery. Her practice covers the full spectrum of self –validation and integration work. In working with clients on all aspects affecting their self worth and self confidence, her focus is on assisting them to liberate themselves from their fears and imposed limitations so that they can regain their powerful belief in themselves. Foszia has a postgraduate honours degree in Philosophy and a Masters coursework in Applied Social Sciences. 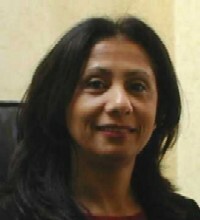 She has received a postgraduate diploma in Systemic Management from the Roehampton Institute. She holds the Advanced Diploma in Hypnotherapy and Psychotherapy, the Diploma in Advanced Past Life Regression and the Diploma in Transpersonal Therapy, all with the Institute of Clinical Hypnosis in London. She is registered with the GHR and is a certified member of the National Guild of Hypnotists in the USA and the APHP in the UK.